In summer 2014, AR Daniel Construction Services, Inc. cut the tunnel to connect a new parking garage to the Children's Adventure Garden at the Dallas Arboretum. Long faced with parking challenges, especially on weekends and during peak visitation periods, the Dallas Arboretum increased available parking with a new parking garage near the New Children’s Adventure Garden. A challenge still existed as the new garage and its 1100 parking spaces were across busy Garland Ave. (also Texas State Highway 78) from the Arboretum. To meet this challenge general contractor Rogers-O’Brien contracted AR Daniel to build a pedestrian tunnel under Garland Ave. to allow for safe access across the road. 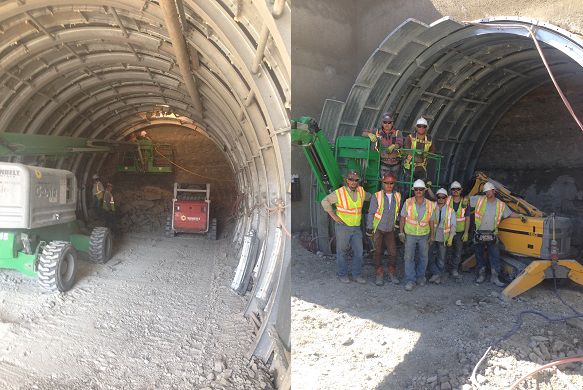 AR Daniel constructed a 21’ wide by 18’ tall tunnel supported with galvanized steel liner plates and steel rib beams through the limestone geology along the alignment. The portal of the tunnel was in the lower level of the excavation for the parking garage. The first half of the tunnel was driven below existing water lines and signal light foundations. Particular care was given to the signal light foundation as it supported a cantilevered arm extending above the traffic on Garland Ave. At the mid point of the tunnel the grade of the tunnel was increased to an ADA compliant ramp. At the end of the tunnel an open air ramp continues to carry guest into the entry admissions area. 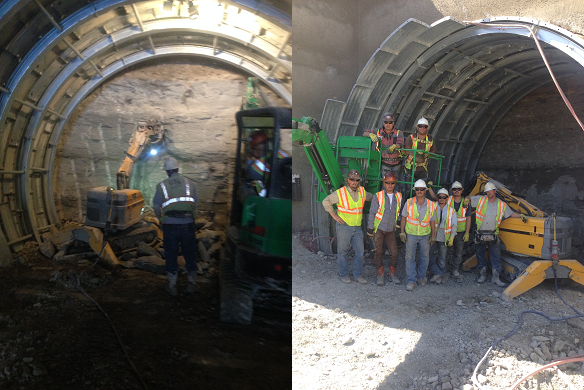 Following AR Daniel’s construction Rogers-O’Brien water proofed the tunnel and provided finish out construction.